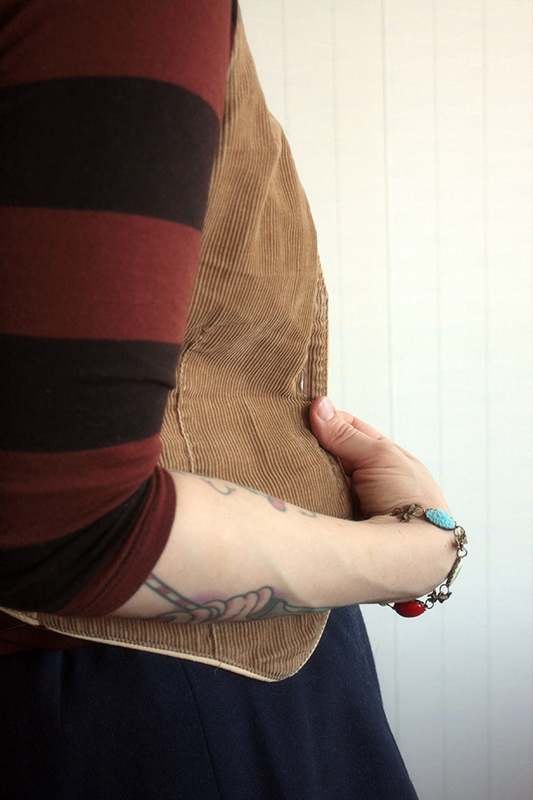 I've been digging trough the piles and drawers of my closet, mixing textures and re-discovering old items. So I ended up weating lots of things I haven't worn in a very very very long time. 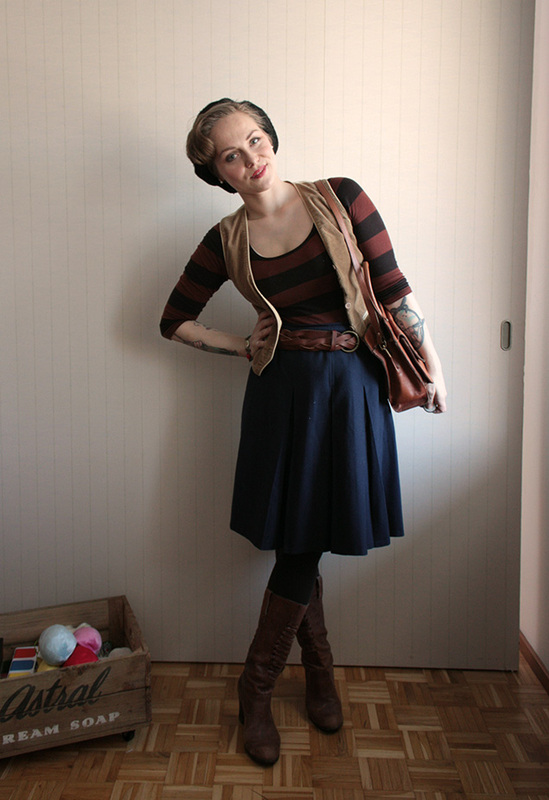 The skirt is my grandmothers old, vest my mom's old and the bag vintage, the rest just plain old. Wunderbar! What a nice mix'n match of items, and they all go so well with each other. I love the black and maroon stripes!